We used data and science to determine the places in Kansas where everyone sleeps safe and sound. Editor's Note: This article has been update for 2019. This is our fifth time rankings the safest places to live in Kansas. For a lot of people who live in the fine state of Kansas, safety isn't a problem, but we don't all get to live in the safest cities -- unless of course you live in Leawood. The purpose of this post is to determine where the safest cities to live are in the Sunflower State. Those places where crime is usually something you hear about on Facebook, but not from your local paper. In all, we analyzed 49 cities in Kansas with a population of more than 5,000 using the latest FBI crime data. So what's the safest place to live in Kansas for 2019? According to the most recent FBI UCR data, Leawood ranks as the safest place to live on a violent crime and property crime rate basis. With a little over 35,000 residents, the superb quality of life in this little city just outside of Kansas City, is the reason that it is our number one Safest City in Kansas for 2019. The residents claim that Leawood is where "Your problems will be smaller, You burdens will be few, For Friends are made for helping, And that's just what they do." The rest of Kansas could learn a lot from Leawood. Bel Aire is the kind of place that you can sleep safe and sound and leave the doors unlocked while out and about. Good work Bel Aire! In Abilene they love their wide open spaces, their parks, their safe neighborhoods, their beef cuisine, and their trucks with gun racks. We all know nothin' says safe like showin' up to the annual 'Heritage Say Festival' with your gal by your side and a newly mounted rack, right? Abilene is so safe, that the only crime here is a bad haircut or dipping your steak in ketchup. Its small city charm delivers big opportunities to all that are searching for a safe place to call home. They claim to be more then prepared to show you the good 'ol hometown pride that makes this part of the country famous and safe. Valley Center's slogan should be "Where It's Happening". Not only are they a super cool, super safe city in the Arkansas River Valley of Sedgwick County, they have a boat load of burger shacks, and three stores where you can legally buy guns. More importantly, VC scored a strong 8/10 safety ranking with an emphasis on available jobs and education. We think they are definitely deserving of our fourth safest city in Kansas for 2019. So, if safe, family friendly communities that are happenin' is your cup of tea, you better hurry cuz Valley Center's homes are sellin' like hotcakes. You won't hear guns a-poppin' and see fists flying unless maybe there is a scuffle over a putt on one of their many area golf courses. This city in Leavenworth County offers a Kansas City vibe with a laid back suburban feel. There's a true sense of community in Basehor and education is a top priority. 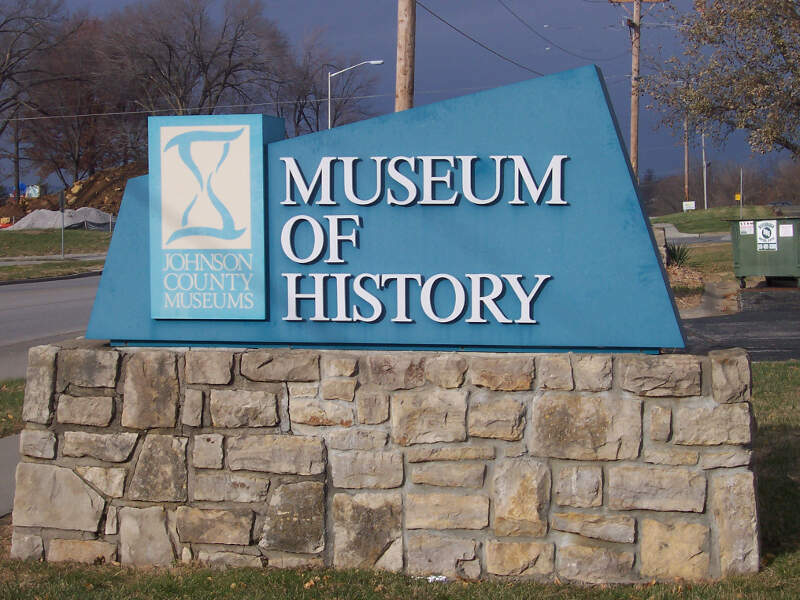 So grab the fam, pack the truck, and get a-movin' soon so you don't miss out any of their safe, family friendly activities scheduled for 2019. In Olathe they love their proximity to the Kansas/Missouri border, their parks, their safe neighborhoods, their corn, beef, and pig cuisine, and safely cheering for their MidAmerica Nazarene Pioneers. With characteristics like these, as well as low crime, it's no wonder they are our sixth safest city in Kansas for 2019. 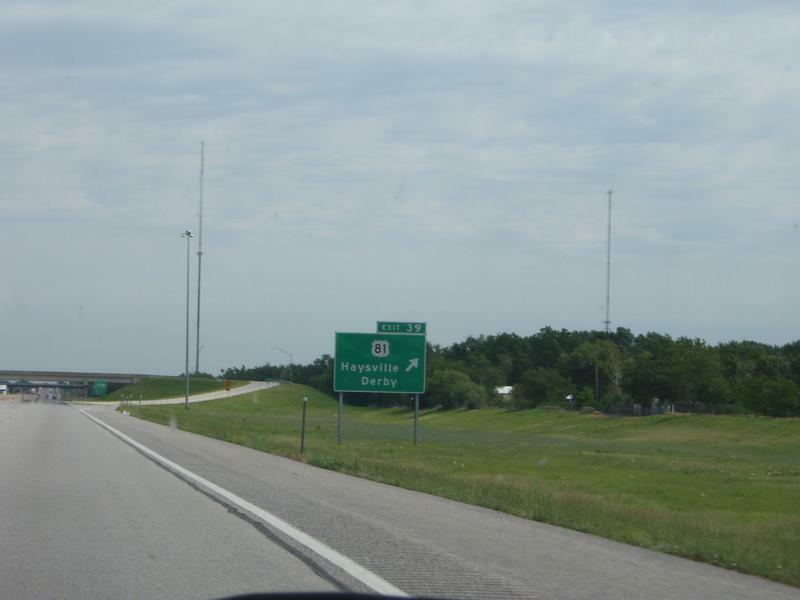 Home to Garmin, the residents say that you only have a 99.9% chance of not finding this middle-of-nowhere Kansas city. We think that's a pretty safe statistic. If this doesn't make you an "Olathe Believer," check out our story "Best Places to Live in Kansas". 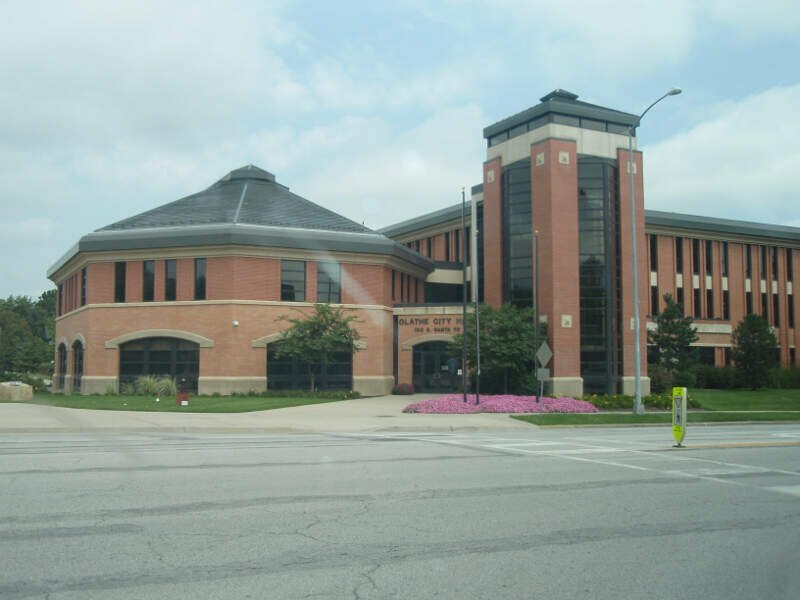 This Johnson County city is the real deal! It might not be Oz, but this little city with a vibrant melting pot of corn and soybean farmers, unforgettable summer festivals, and endless fun, is just as notable and just as safe. Probably why it's one of the most populous cities in Grant County, and definitely why it's our seventh safest city in Kansas for 2019. Ulysses is the kind of place where one can safely cruise the roads on ATVs, lawnmowers, and trucks with gun racks. It's also the kind of place where packages from Amazon won't get stolen from your front porch. But if they do, it was probably an Iowa Hawkeyes' fan. Hey Iowa, this is Jayhawk country! Rumor has is Superman flies over Derby on his way to Smallville every day. Do we think that's why this Sedgwick County city is our eighth safest city in Kansas? Probably. But it doesn't end there, folks. There's lots to do Derby. The residents here love to tip cows, corn cars, and provide opportunities for people to safely fry anything and everything. That's what we call safe, stress free livin'. We think largest Wichita's suburb's motto should be: 'Feels Like Home'. They are super welcoming; and in true Kansas fashion, they would be happy if you called its cornfields home. 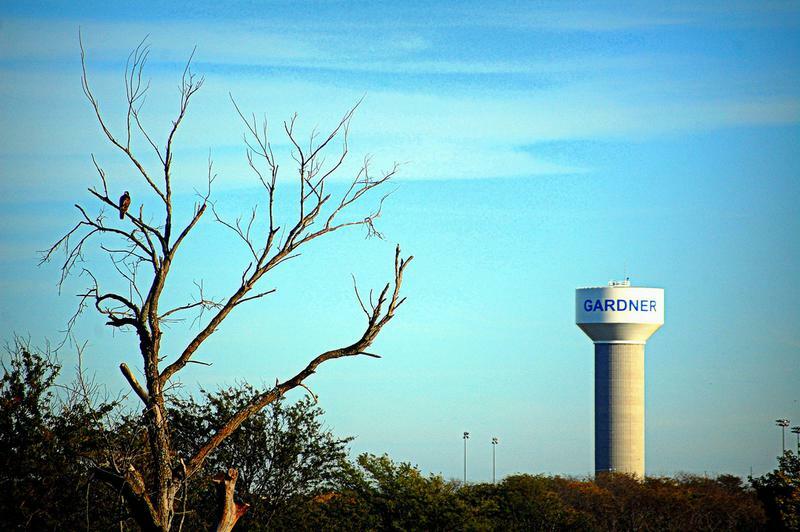 Where Kansas State Road 35 meets Kansas State Road 56 is our ninth safest city in Kansas for 2019: Gardner. This city, with close to 22,000 residents in Johnson County, should be called the 'The Best City to live in Kansas,' too, cuz all is crazy safe and super fine in this land where 'the tall sunflowers and wheat grow". And kudos to this fly-over city, their snackability rating is off the charts with their low crime and high safety score! Their number of strong job market scored an 8.5/10 and their education rating a 9/10! Busy people = less naughty people. If that doesn't say safe, we don't know what does. Shawnee is another safe Kansas City-burb on our list. It's a perfect city when you are looking for the "corny" Kansas vibe. It's also the perfect place to escape real life when you need a break. But don't worry, they won't let you wander too far off cuz you might get lost in a cornfield, and that wouldn't be safe. While there are surveys and public polls on what cities in a state are the safest, we didn't want to rely on speculation and opinion. Instead, we looked at the hard numbers from the FBI's most recent report of crime (Sept 2018) in Kansas. For example, there were a total of 470 crimes committed in Leawood which had a reported population of 35,029. That means the number of crimes per capita is 0.0134 which translates into a 1 in 74 chance of being the victim of a crime. We only looked at cities that have populations of more than 5,000 people reported to the FBI in 2017. This left us with a total of 49 of the biggest cities in Kansas to rank. We ranked each city for each criteria from 1 to 49 where 1 in any particular category is the safest. Next, we averaged each places two criteria to create a Safety Index. We crowned the place with the lowest overall Safety Score "The Safest Place In Kansas". The safest city, based on our criteria, is Leawood. 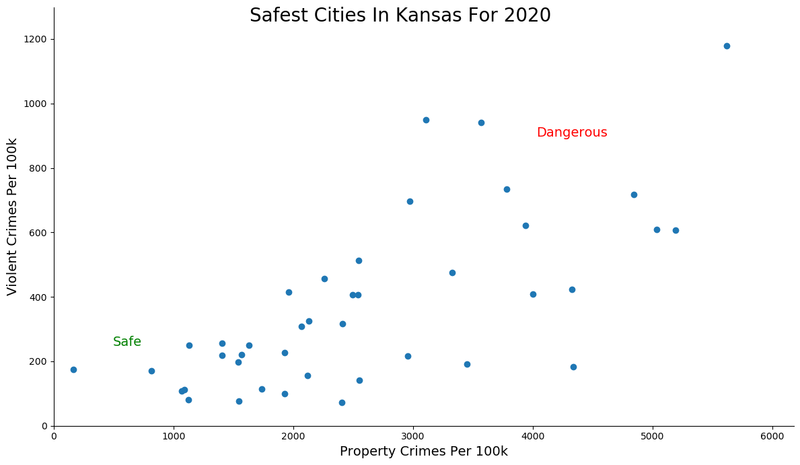 The most dangerous city in Kansas? Wichita, where residents had a 1 in 15 chance of being the victim of a crime. 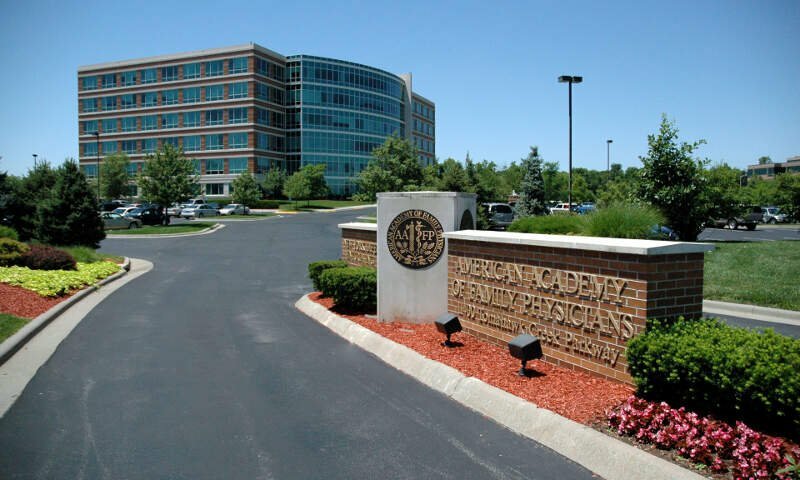 Looking at the data, you can tell that Leawood is as safe as they come, according to science and data. But as most Kansas residents would agree, almost every place here has its safe and not safe parts. So just make sure you're informed ahead of time. 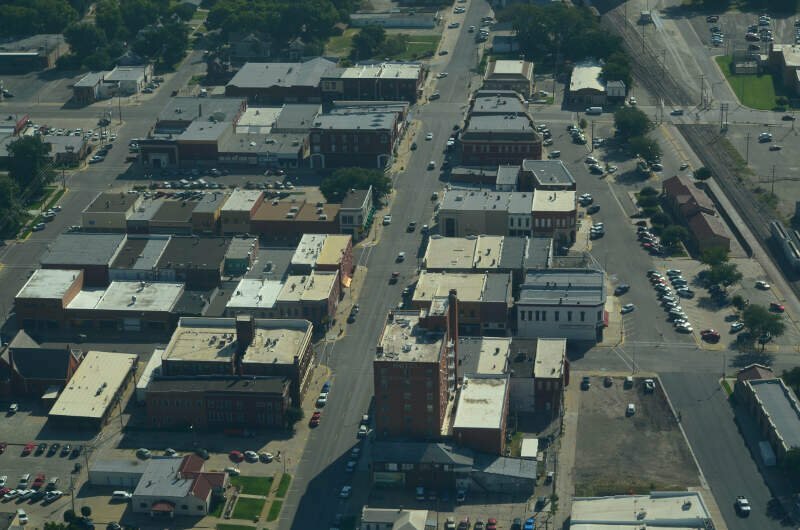 Where Are The 10 Safest Cities In Kansas For 2019?